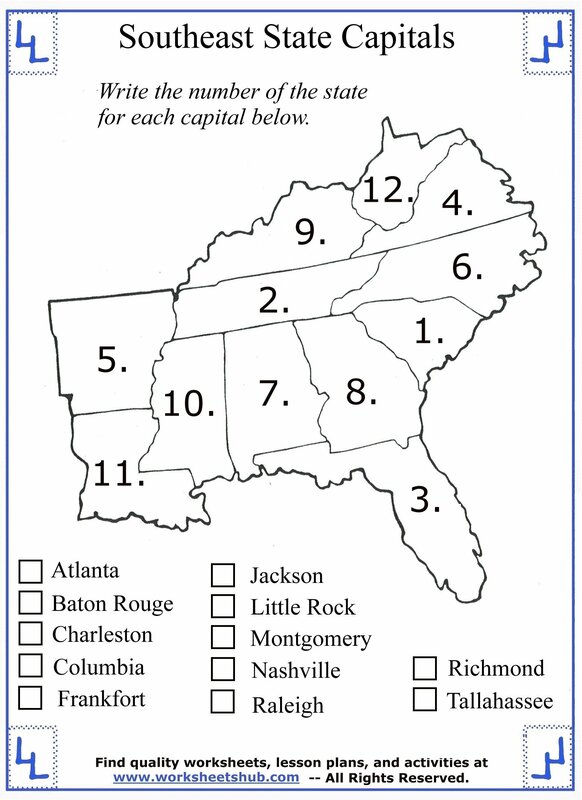 In my daughter's 4th Grade Social Studies class, they have been learning their southeast region state names, abbreviations, and state capitals. 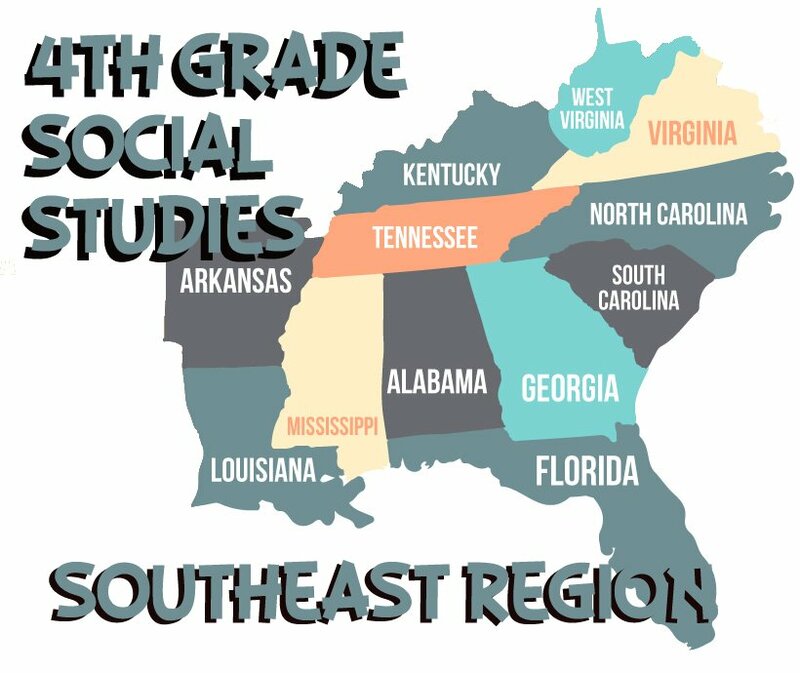 After struggling through learning her states with the study guide the school sent home for her Northeast region states, I decided we should get more involved with helping her to learn the southeast states. Below, you'll find a study guide along with multiple worksheets that will teach your child how to locate the states on a map, their abbreviations, and their capitals. 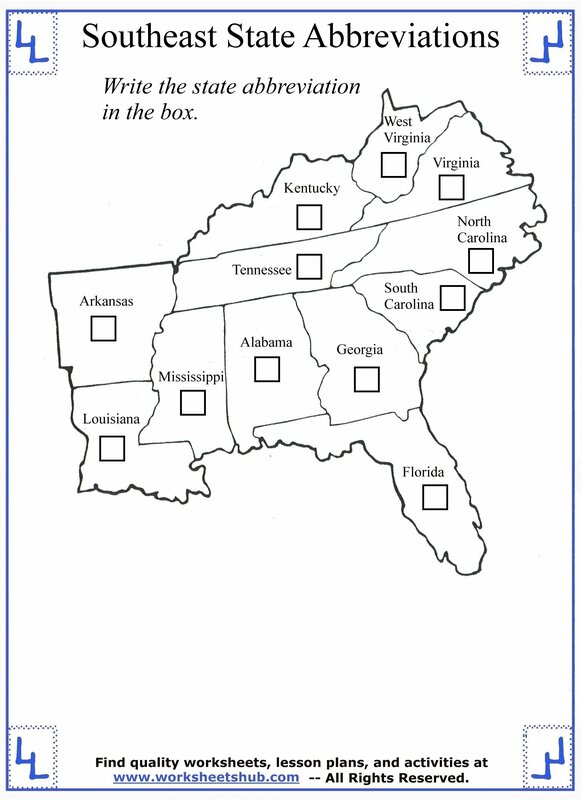 The first paper is a simple study guide that will show your child where the states are located. 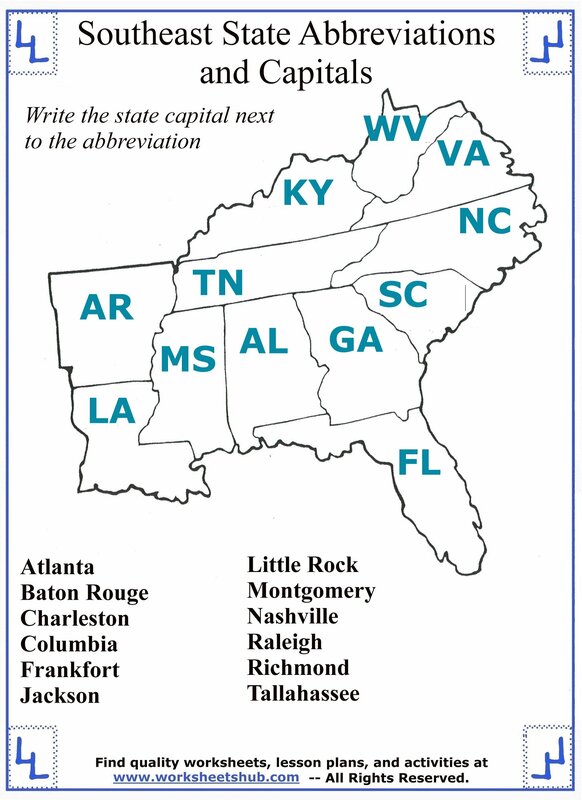 State abbreviations are listed under each name in parentheses, and the state capitals are spelled out at the bottom. 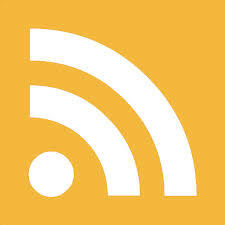 Teachers feel free to hand these out during your social studies class. 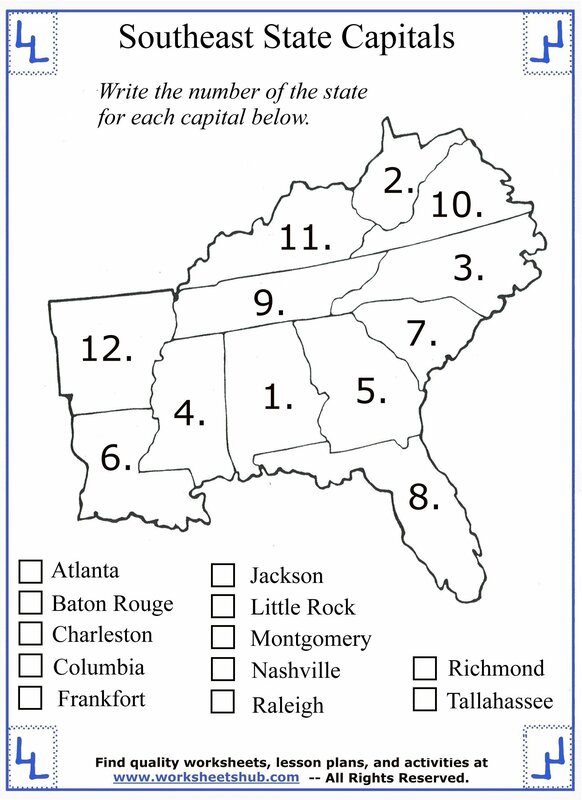 The rest of the worksheets will focus on learning state locations, abbreviations, and capitals. Each printout has instructions on it, but I'll cover each in more detail below. 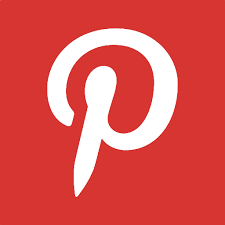 Select an image to print out the worksheet. After the study guide printout, there are three worksheets that cover identifying state locations. 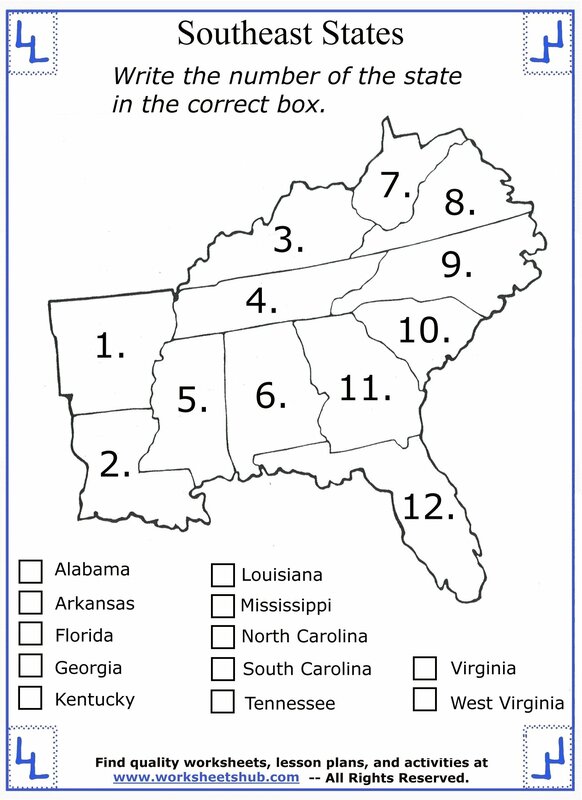 Each state is numbered one through twelve. 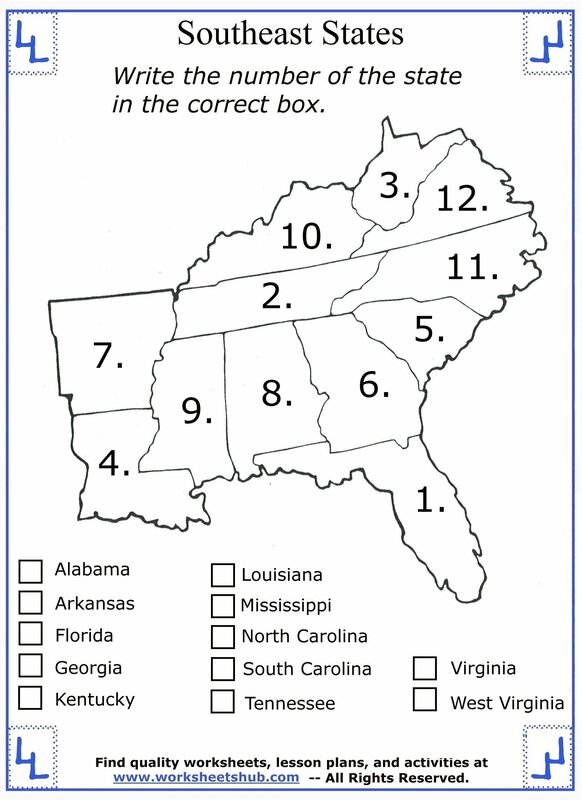 At the bottom of each map is a list of the states and a box next to the state name. 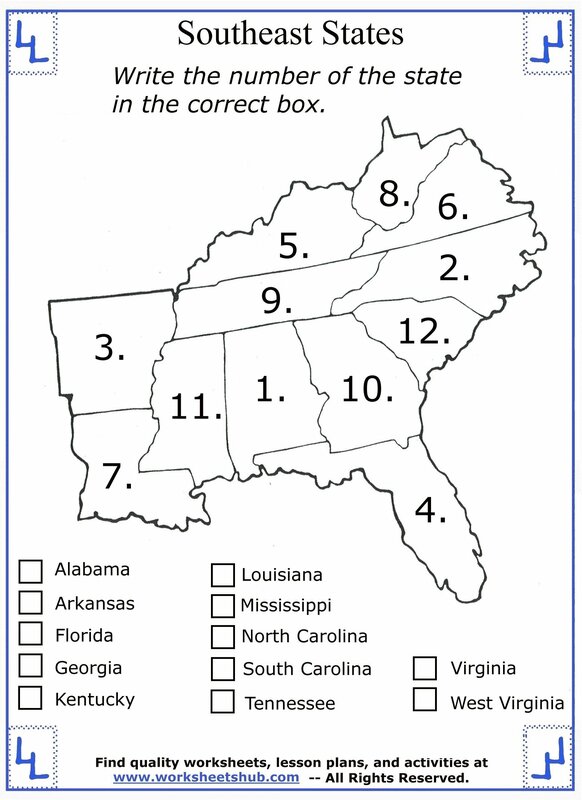 Have your students write the number of the state in the box. The next worksheet focuses on state abbreviations. Each state is labeled and underneath the name is an empty box. Write the state's abbreviation in the box. The following paper combines abbreviations with capitals. 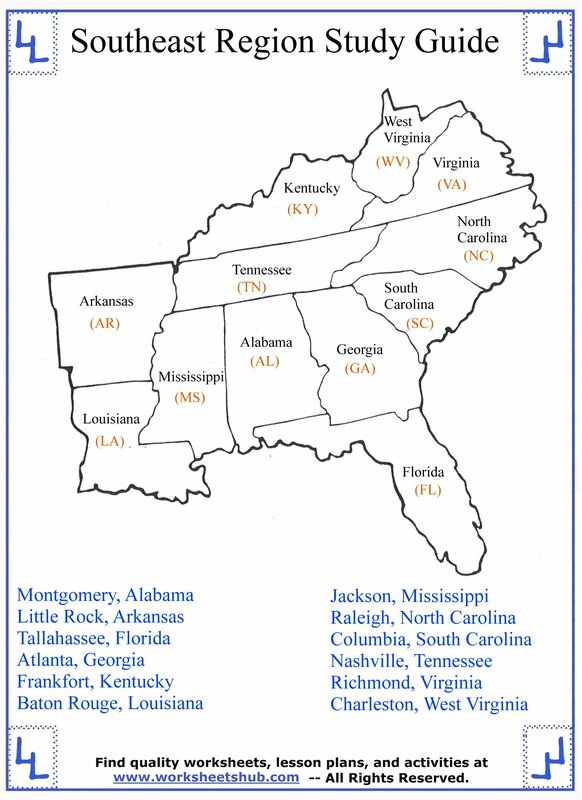 Each state is labeled with it's abbreviation. Students need to write the capital underneath (or next to) the correct abbreviation. The final three 4th grade social studies worksheets are very similar to the state identification sheets. Except this time, instead of states, you will be identifying capitals. At the bottom of each sheet is a list with all of the state capitals for the southeast region. 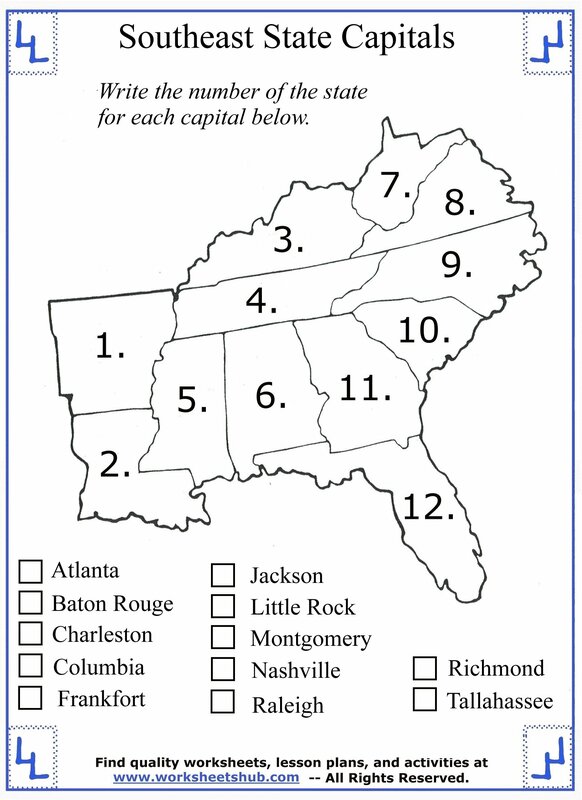 Students need to write the correct state number in the box for each capital. As I mentioned above, this is a new unit I'm creating to help our daughter with her 4th grade states tests. I'll be posting more social studies worksheets in the future as she continues learning the rest of the state regions in school.